We are pleased to announce representation in Namibia with Woker Freight Services (WFS). Based close to the port in Walvis Bay, they also have offices in Windhoek and Lüderitz with a highly competent staff of over 70 people. Mr. Kirsten Beeker (Manager of Marine, Mining & Energy) states; "Woker Freight Services is one of the oldest logistics companies in Southern Africa. Our company was established in 1924 and has since then distinguished itself as a leader in freight logistics management. WFS offers global freight solutions, specialised supply chain and logistic services for local, regional and international clients. We are passionate about freight logistics and we firmly believe in a solution driven approach to the most challenging freight requirements. 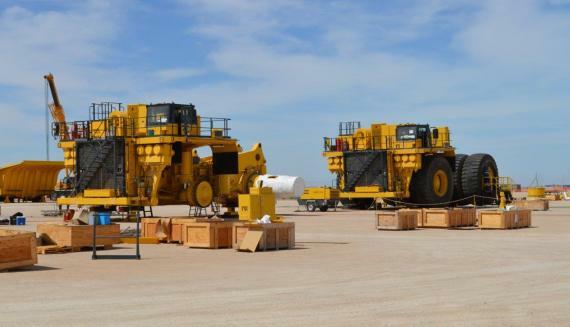 WFS is specifically geared for large project consignment freight requirements. This includes the full cycle of logistics involved in project management including shipping, cargo handling, customs clearing, forwarding (intermodal transport) and warehousing. We also have access to specialised logistics and marine services aimed at enhancing our freight logistics service portfolio as well as bonded and normal warehouse facilities, containerisation, ships agency and stevedoring services. Another speciality of WFS is in-transit clearances including road bond facilities to Zambia, Angola, Botswana, Zimbabwe and the Democratic Republic of the Congo. With preferential contractual rates and agreements in place with the major shipping lines allowing for flexible price negotiations, we offer complete assistance on project and abnormal freight. We handle a substantial volume of cargo comprising any type, size or mode including heavy lift, project cargo, breakbulk, bulk or hazardous cargo." "WFS removes the nightmare of dealing with vast array of procedures and documentation, by providing a one-stop-shop solution to any import or export challenge." 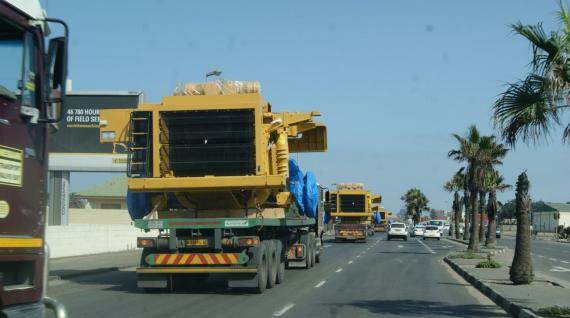 Photographed in the gallery below is the importation of Komatsu 960 dump trucks shipped by WFS from Houston in the USA to Walvis Bay, Namibia. 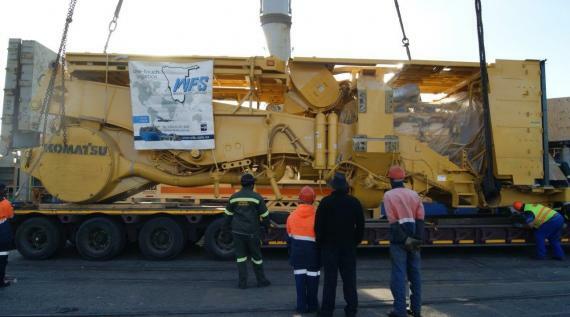 WFS were involved in the complete logistics from Houston to the mine site in Namibia. 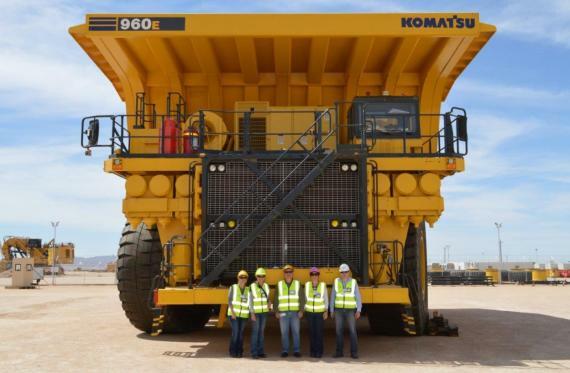 The shipments were handled in batches of 3 dump trucks at a time. Please also click the links below for some other project work from WFS.